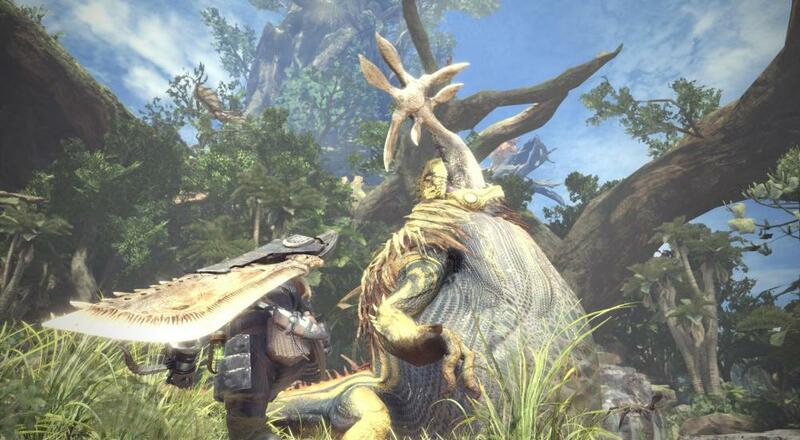 At the Tokyo Game Show yesterday, Capcom unleashed a new Monster Hunter: World trailer as well as revealing the game's console release date. On January 26, 2018, you and your buddies can team up on the Xbox One or PlayStation 4 to bring down some monsters. In addition to all that, Capcom revealed two special editions of the game. The Digital Deluxe Edition "includes the digital game, plus additional customizable options that can be used in-game: a Samurai Set skin, three gestures, two sticker sets, plus an extra face paint and hair style option for the hunter." The Collector's Edition includes all those bonus goodies, swaps the digital edition for a physical copy, a 5" (or 125 mm) Nergigante figure, a download code for a special 10-track soundtrack from the game, and a 32 page hardcover artbook. Pre-orders for these items have not yet gone live, but the Digital Deluxe will retail for $69.99 while the Collector's will go for $149.99. Pre-ordering any version of the game will net you a code for Origin Set Armor and the Fair Wind Charm talisman, which offer improved starting defense and offense stat boosts for the hunter as well as a useful gathering skill. It's worth noting, though, that the bonus digital items you get in the Digital Deluxe/Collector's Edition and the pre-order bonus items will all be made available for purchase separately at some point after the game's release. Amidst all that good news, here's the bad news: no release date for the PC version. It will be coming out sometime in 2018, but no mention of when that would be, exactly. Monster Hunter: World will be available globally on January 26, 2018 for the PlayStation 4 and Xbox One, and it will support four player online co-op. Page created in 0.4616 seconds.